Back when I was still in school in Brazil, I was always a curious student when the subject was the Second World War. Even though my country suffered basically zero during these dark times, somehow, I always seemed to be eager to learn more and more about the topic. I had no idea that later in my life I would be married to a German, with whom I’d learn so much about the devastating consequences of this war. I also had no idea that one day I would be standing in not only one, but in several places where important battles took place. An open air or field History class to say the least, thanks to the Liberation Route Europe. The Liberation Route was the trail taken by the allied forces to free Europe from the Nazis. It all started at D Day, in June 6th 1944 in Normandy, France. American troops, with the support of Canadian and British troops, made their way through France, Luxembourg, Belgium, The Netherlands, Germany, Italy and Poland, fighting the enemy face to face to liberate town after town. 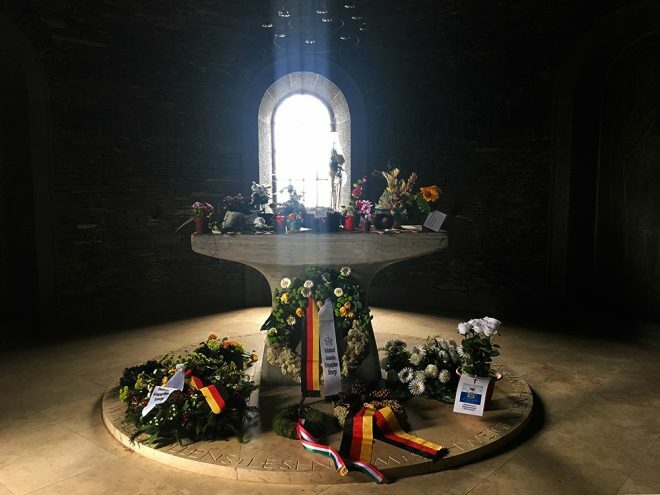 Founded in 2008, the Liberation Route Europe Foundation aims to pay tribute and to keep alive the memory of those who lost their lives during the World War II in order to provide us peace and freedom. 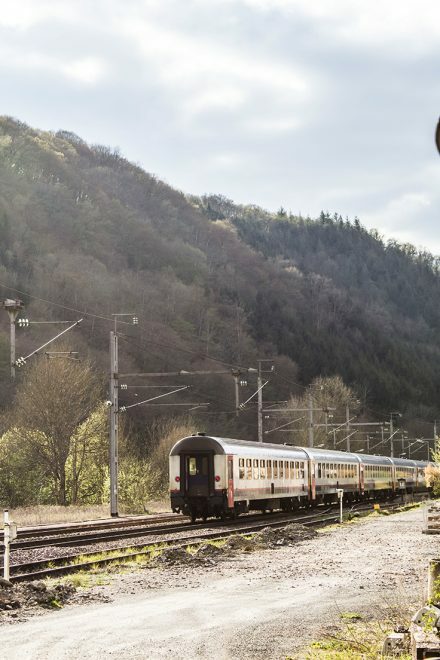 In 2012 the foundation then acquired enough support to develop this wonderful project, called the Liberation Route Europe (LRE), which is a remembrance trail that connects the regions where the allied forces passed through to liberate Europe. A couple of weeks ago I had the opportunity to follow the route through Luxembourg, Belgium and The Netherlands, a route inspired on the famous “Battle of the Bulge”. The name might not seem familiar to many, but certainly the HBO series “Band of Brothers” might ring a bell, if not, know that it was a crucial battle toward Europe’s liberation and Hitler’s failure. Many of you might have no idea, but right here is where the famous General Patton’s grave is found. The cemetery is visited by thousands of people each year, including war veterans. Each person buried here has their own story, and these stories keep appearing as time goes by and relatives come to visit. Probably the most interesting museum I ever visited. From the outside, it’s impossible to guess how rich in details the museum is. Right here is possible to find from small to huge remnants of the WWII, varying from G.I.’s suits, original documents and photos to tanks, jeeps, and weaponry such as land mines (all disabled, of course). 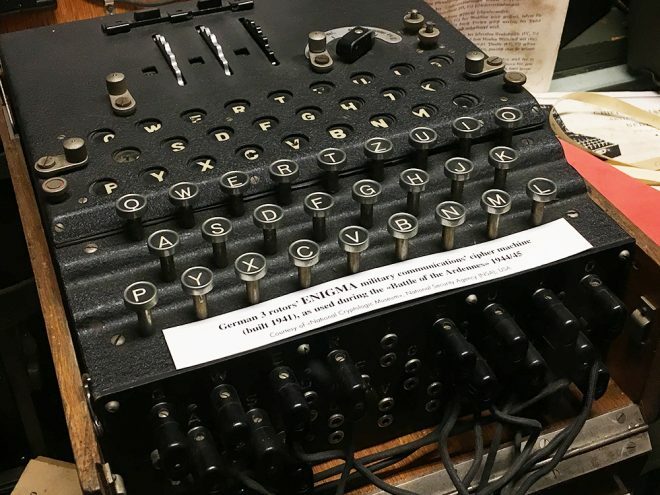 Further objects include an original Enigma, food packaging, and posters from the times of war. Closed on December 25th, January 1st and Carnival Sunday. Both Diekirch and Ettelbruck were important cities in Luxembourg at the end of the WWII, where American soldiers fought against the Germans face to face to liberate them. 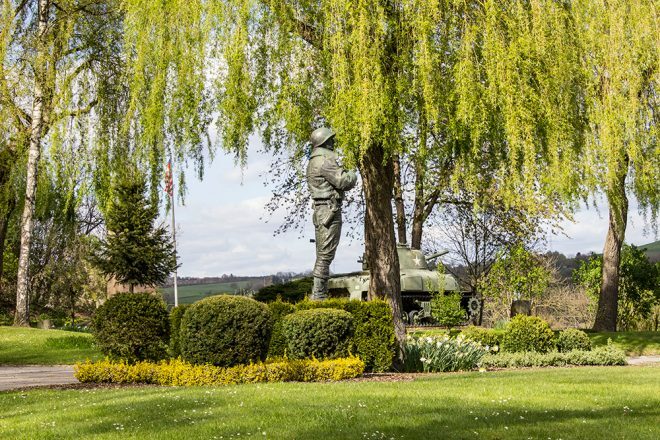 Ettelbruck is known as “the Patton town”, there you find a memorial dedicated to the famous general, as well as a museum with photographs, artifacts and documents from that time. 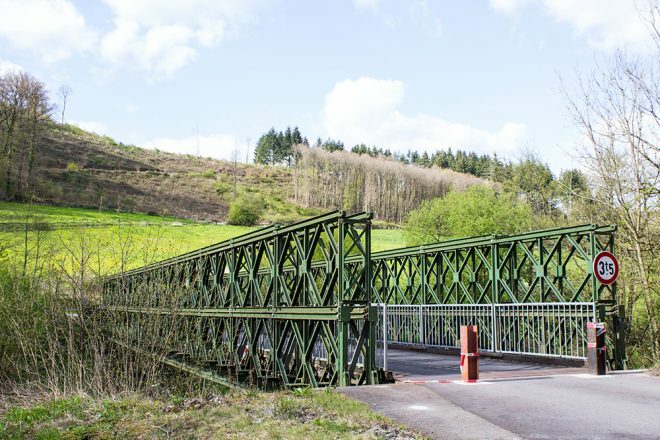 In this region it’s possible to check out original bridges built by the solders to cross the river with supplies, as well as the tiny village of Goebelsmühle, where the Germans used an important train station for their supplies. The whole area is at the same time, beautiful, making up for an amazing cycling and hiking trail. 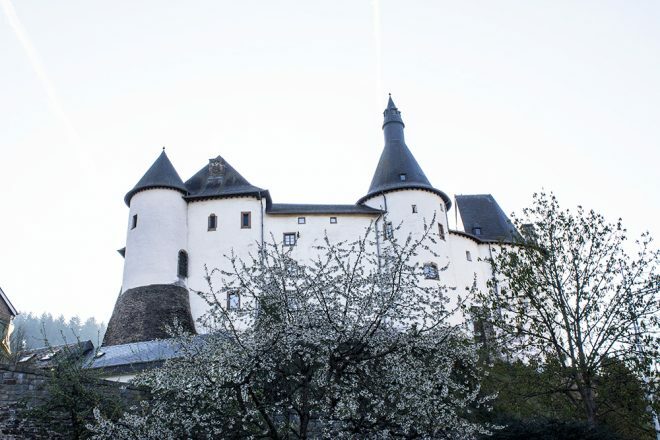 The Memorial and Museum are located exactly where history happened, at the beautiful Clervaux Castle, in the village of Clervaux, Luxembourg. There, it’s possible to see the original American tank (a Sherman M4) that defended the city against the Germans, as well as holes in the walls nearby, made by the bullets exchanged between both sides. The highlight here is being able to hear the story and feel like you were there. 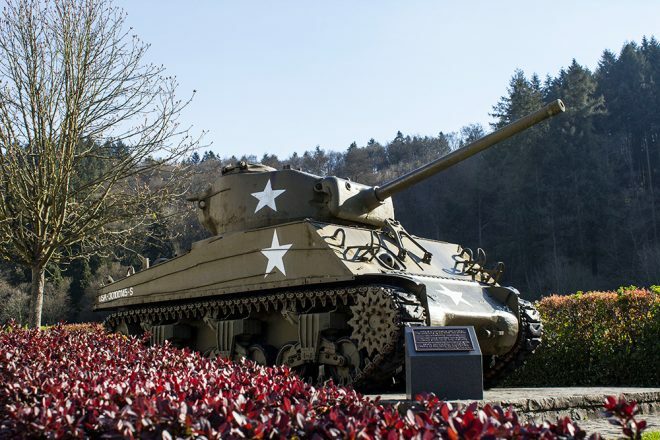 This trail takes you through where an important step of the Battle of the Bulge was taken. Here thousands of soldiers of both sides, German and American, died fighting against each other in rotating turns. 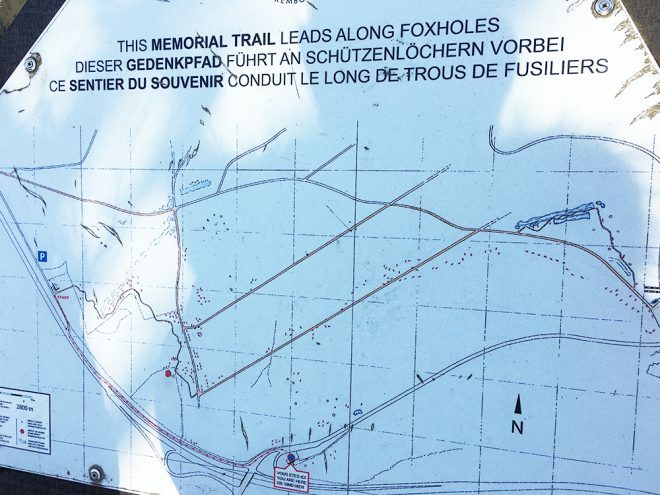 Nowadays you see foxholes, and even a location where a bomb was once exploded. There is also a point where you find yourself in between both sides of each army. 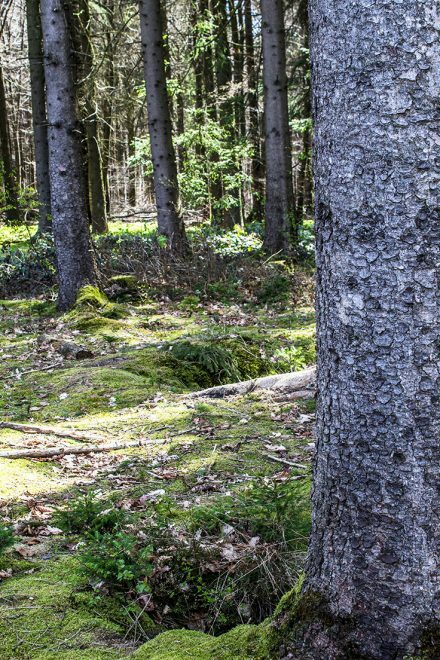 The trail is an important landmark in Luxembourg in remembrance of the Battle of the Bulge, as well as for the Liberation Route. A must visit attraction in Bastogne, Belgium, the Bastogne War Museum takes you to the times of the WWII, where you are audio guided by 4 different fictional characters of that time. 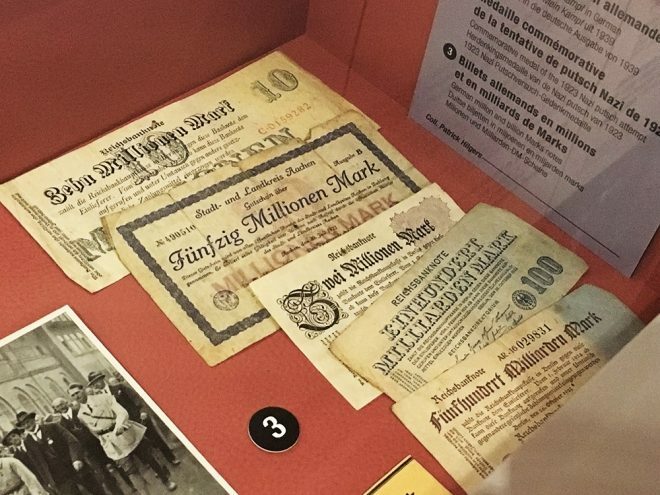 Apart from original documents (even an original copy of Hitler’s book Mein Kampf), artifacts, photos, and clothing, there are many visual effects that explain how the war started and how it ended, while focusing on the Battle of the Bulge. 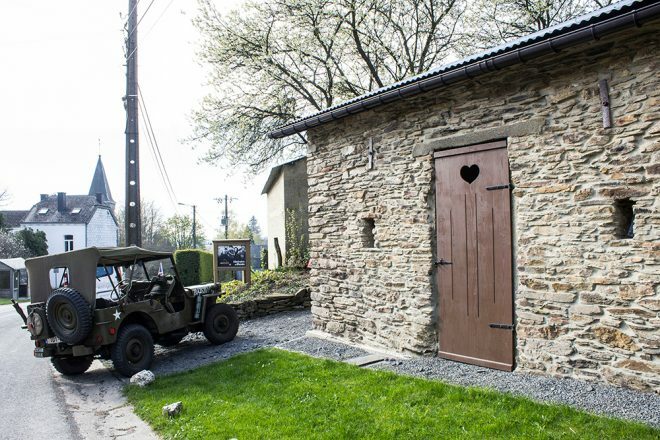 For opening times and more information, visit Bastogne War Museum. What if I told you it’s possible to hop on an original Jeep of 1944 and drive around Bastogne? I had the chance to do just that, and afterwards I experienced how it’s like to have lunch like the solders back in the war used to have. During the tour there is a stop in the small village of Sainlez, which was almost completely destroyed during the war, and at the German War Cemetery Recogne, an incredible sad place where thousands of very young German solders are buried. 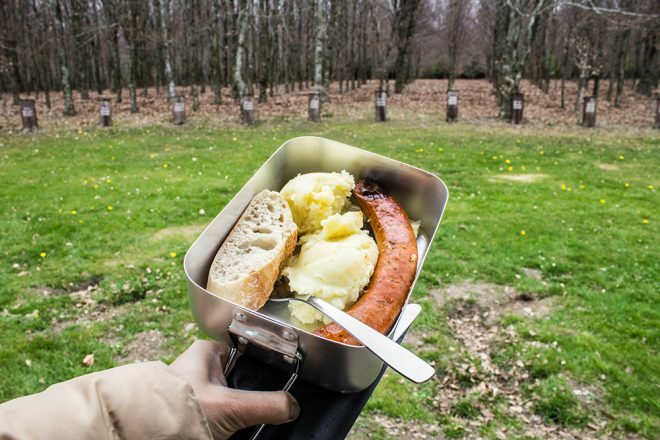 Our WWII field lunch, only fancier than what the soldiers used to eat. 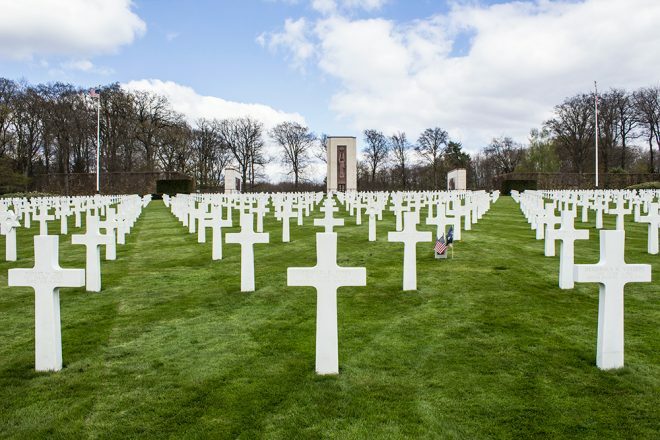 The last stop on the route is the only American war cemetery in The Netherlands. Here 8,000 American soldiers are buried, and apart from the beauty of its main entrance, another highlight is that the local community are able to adopt a grave to come and visit, pray and lay flowers on it. 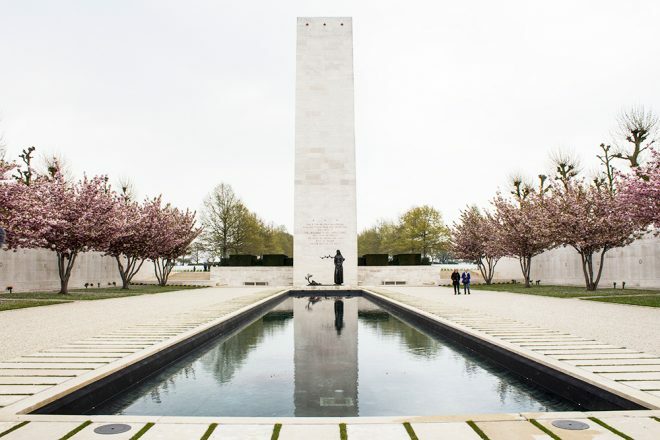 The adopted grave passes from generation to generation, and there are incredible stories of the relationship between the soldier’s families and the adoptees. Every historical site along the Liberation Route Europe is verified by historians and experts. The Foundation works with over 150 partner oganizations and members, is active in 8 European countries, and promotes over 300 remembrance and heritage sites in Europe. 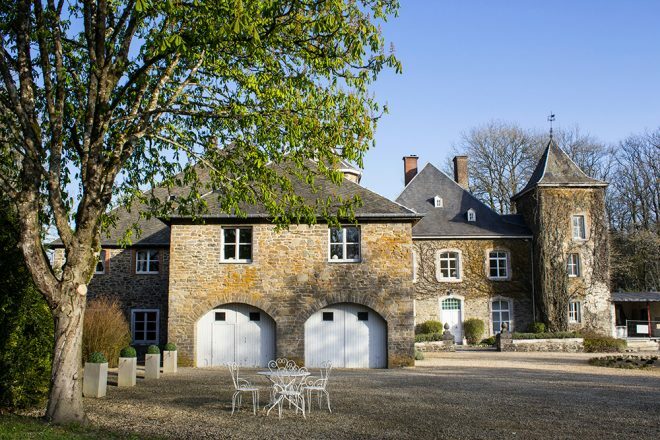 This beautiful castle was once the headquarters of the 101st Airborne during the Battle of the Bulge, between 1944 and 1945. You can take this same trip yourself and maybe even include more sites along the way. It’s possible to take the trail by hiking, as well as cycling, signs are being put on the route. You can use the Liberation Route’s official app, which includes each historical site, its background and direction, to help you on planning and during your trip. You can also find more support and information with anything regarding the LRE right here. 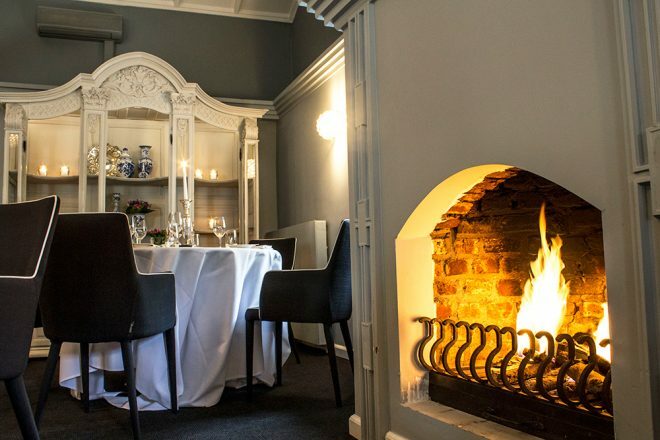 Have you had the chance to visit any of these historical sites? Do you have any questions about the Liberation Route? 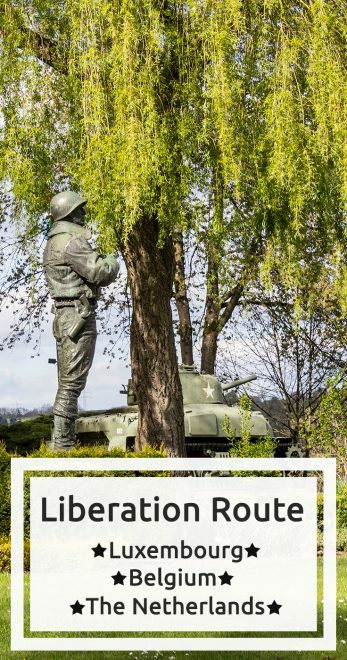 I was invited by the Liberation Route Foundation to take part in a press trip in April 2017 to follow the Liberation Route across Luxembourg, Belgium and The Netherlands. I am proud and honored to support and help the foundation to promote such a wonderful project.